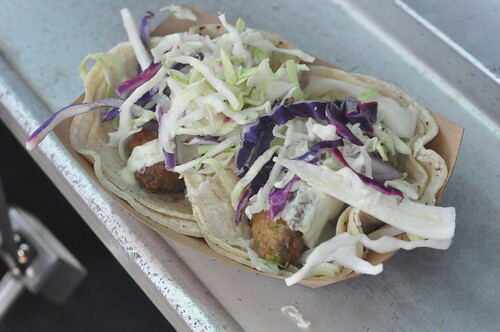 Besides visiting the Dos Chinos truck on my recipe trip to Orange County I also had a chance to check out Seabirds Truck, a popular local vegan truck where I tried their beer-battered avocado tacos. Fried avocados? Why not? The thick avocado slices were very lightly battered with a slightly crisp exterior. and so, so very good. The tacos were piled high with a crunchy ‘slaw and topped with a creamy but not too spicy jalapeño-cilantro sauce. Filling and satisfying. 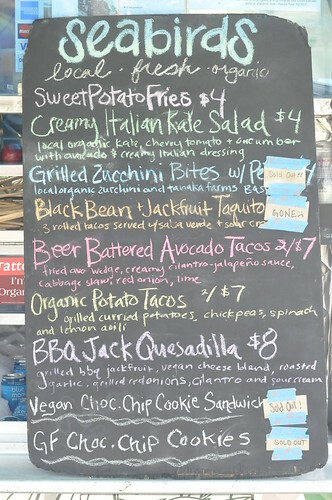 If I hadn’t already placed a monster order with Dos Chinos I surely would have been back for more because their menu looked super awesome--very curious about the BBQ Jackfruit Quesadilla. 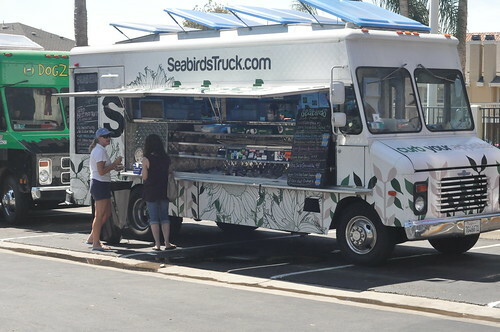 If you’re in the OC and looking for nourishing organic vegan food check Seabirds out on twitter @SeabirdsTruck.